So, I decided to take a dive into a new technique and learn both entrelac and knitting backwards!! I thought it was going to be pretty difficult but once I was able to visualize it it went pretty easy. I dug into my stash and picked out a red and pink color in Araucania Ranco Solid. 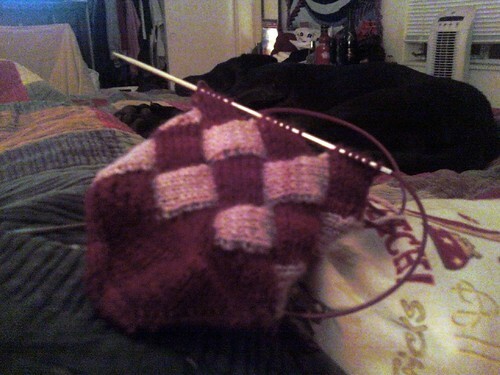 I picked the Entrelac Socks pattern by Eunny Jang that was in the Spring 2007 Interweave Knits.